After so many live performances in all sorts of dark and dingy launch pads rights across europe, the instro-surf combo from Hamburg, The Splashdowns, are finally releasing their first live album. The EP with 6 tracks recreates the sticky atmosphere of a packed cellar bar, rather than the clean antiseptic environment of a Cape Canaveral laboratory. In addition to a selection of hits from the current LP Back To The Moon In 2022, the EP includes 2 unreleased numbers El espia con el Rolleiflex (The Spy with the Rolleiflex) and Pulsar, both songs already a fixture in the bands live set. Recorded live in an old hangar the tone is raw and untamed. The EP kicks off with an unnecessarily complex introduction from Dr Habakuk Braunsteiner from ASA (Astronautic Surf Administration) explaining the core theme of the performance: The Splashdowns just want to play! Maybe also in your living room! 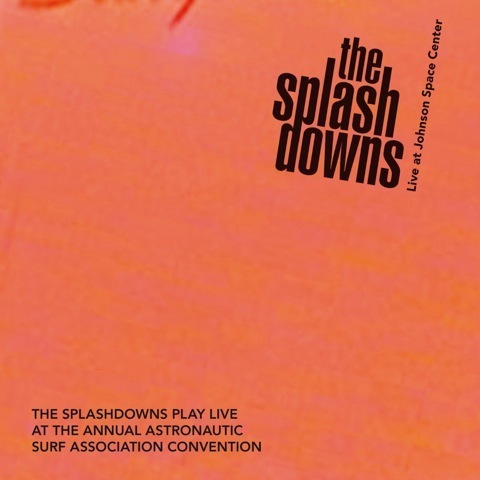 Okay people: adjust your laser, polish the fine optics cos you no longer have to wait for the next scheduled rocket test to come to your town to experience the raw explosive energy of a Splashdowns blast-off... Limites Edition 300 copies only!! !